WTB Byway 650B X 47mm Tires: At The Finish- by Guitar Ted WTB, a tire company that was known primarily as an off-road/mountain biking tire provider five years ago has slowly made a name for itself in the gravel riding circles. Their first offering being the Nano 40, a natural off-shoot of WTB’s classic tread pattern for the Nanoraptor. Now the tire company from Mill Valley, California offers the Riddler models, the Resolute (on test here), and a Road Plus tire in the Byway. 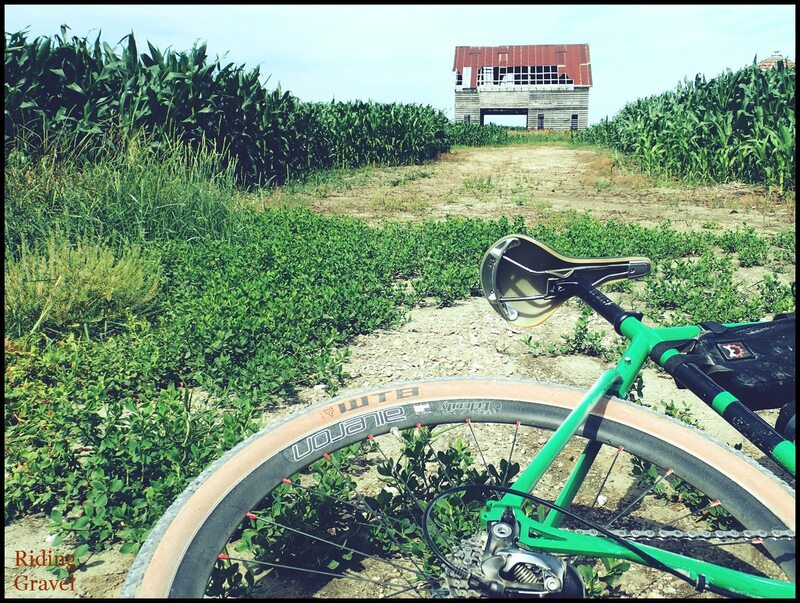 The Byway is the 650B X 47 sibling of the Horizon tire we tested last year, but the Byway has a bit more range than that tire does, which you can read about from my last post here. In this final post on the Road Plus Byway, I wanted to go over what this tire does and doesn’t do versus a “traditional” 700c choice and wrap up this review. Let’s dig in…. The Byway tires on the Twin Six Standard Rando are a perfect match. The Byway makes a fine gravel tire and especially so if you ride a lot of pavement to and from your gravel route. The width affords stability, the minimalist tread pattern is enough for many situations without additional weight from a big, blocky tread pattern, and the comfort level of the casing is very nice. However; having said all of that, the Byway is a 650B based tire. One of the questions I get a lot from other riders is “why the 650B size?” What does it offer that 700c doesn’t, and can that tire fit on my bike? Well, I’ve tackled these questions and more here in this post. There you will find some other links that may be of interest if you are searching for some information on possibly transforming your 700c rig to a 650B one. By the way, WTB has a resource for this as well and it can be found here. The WTB Byway tire has a bit more flotation characteristics than typical 700c gravel tires do. Specifically in regard to the Byway, the tire has a lot of comfort and flotation versus a 700c tire in a 40-42mm width. It seems that if your 700c tire is cutting in to softer terrain, the puffy, Byway 650B tire can help overcome that trait a bit. This is something I experienced back in the Spring with the Byway when our roads were soft and saturated by rain. Silty, sandy, or finer loose rock can also be traversed more easily with the 650B X 47mm tires than it could be with a 700c X 42mm tire. Of course, a more comfortable ride is available to the rider that swaps in a 650B X 47mm Byway or other wider, 650B tire. As I have stated before, being intentional about where your air pressures are at will yield an even better experience. Like other “plus tire” formats, it seems that the wider 650B tires on gravel need a bit more attention to their air pressure settings. I have found for my needs that a 30psi rear and mid-20’s psi front setting is great for comfort and a speedy roll on gravel. That said, everyone weighs differently and rides differently. With regard to air pressures, don’t let anyone tell you “this is right“. Experimentation with your own set up is a must. The Byway, and other 650B tire/wheel combinations, would not be my first choice for knocking down a lot of miles on gravel in a speedy fashion. Can it be done, yes. Of course it can, but on average, 650B tire/wheel combinations just do not carry momentum and roll over things like washboard and rougher terrain like a 700c wheel can. It also bears mentioning that tire choices, while getting better all the time, still are not as plentiful for 650B as they are for 700c. I would choose 650B for comfort reasons on typical back roads and for most gravel. For instance, I can imagine doing a casual, long distance tour on 650B tires and wheels. On a technical level, one should always remember that swapping to a 650B tire like the Byway from 700c can lower your bottom bracket. It may not be an ideal thing for every rider. Also, the smaller diameter of 650B is going to affect your gearing range. You’ll find it is slightly lower overall from your 700c set up, typically. At The Finish: WTB now has two “Road Plus” options, and the Byway is, by far, the better one for gravel travel. Loose dirt, mud, and sand were better with the Byway than with the Horizon. The knobs and diamond shaped tread on the Byway lend just enough traction to pull you through on dirt and mud, but this isn’t a mountain bike tire. 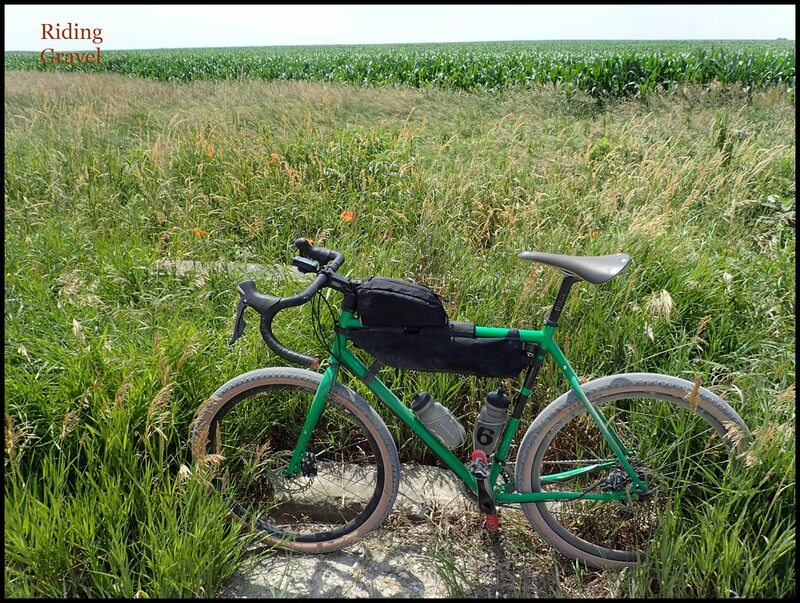 You get less rolling resistance everywhere with the Byway versus a mtb tire, but if you are thinking “aggressive single track”, you should look elsewhere. The width is spot on and the tubeless performance has been good. The Byway is a great tire to swap in to your 700c rig to bring it a different flavor of riding and for different situations where the Byway might be superior to a 700c tire/wheel. I feel many newer bikes in the future will be spec’ed with 650B tires stock and I wouldn’t at all be surprised if many of them come equipped with WTB Byways. . Note- WTB sent over the Byway at no charge for test and review to RidingGravel.com. We have not been paid nor bribed for this review. We will strive to give our honest thoughts and opinions throughout. 45nrth will probably come out with a 650b Gravdal next spring as soon as the ice melts. I nagged them about a 26″ and they made it, so there’s hope. I have had my Byways for a month and have only ridden my 700c bike once in that time. Gravel riding, road riding, commuting, shopping runs, it’s just so comfy on the the these tires. I’m a short rider at 5-6 and I switched to 650b MTB around 8-9 years ago. I have them on a Lynskey with a 65.6mm BB drop and my BB height ended up about 283mm. Very stable at all speeds, turns well – I’m wondering if I hit a sweet spot for my size and height? My road bike with 700c x 28 is faster but at 68 years old I really like how comfy these are. Just set up a pair of GravelKing SK 650’s (48mm/1.9″). If you’re looking for a do-it-all 650 tire that leans more toward the dirt than the pavement, I don’t think you could do any better than the GK’s. Like all GK’s, they swell (to about 50mm) and with that size footprint and the GKSK tread pattern, you couldn’t ask for better traction. They’re a little draggy on pavement, but at that size, anything with tread is going to be a little draggy. On flat and downhill pavement, they’re easy to keep rolling once up to speed, but uphills can be a bit of a chore. Where they really shine is in loose stuff, like sandy arroyos. Unfortunately for me, they barely fit at 48mm, and 50 is just too close for comfort. So in an effort to find a 650 alternative, I tried the WTB resolutes (43mm, swell to 44mm). The resolutes are incredibly good tires, very impressive, but are DOWNRIGHT PATHETIC compared to the 650 GK’s. Seriously, at 43mm, I could just ride my 700c GK 38’s (which swell to 42 on WTB KOM 29 i25’s). At 43mm’s, you just don’t get the cush you do at 47+mm’s. For that plush, bump killing ride, you’ve got to be at least 47mm’s, otherwise the tire just doesn’t have the height/volume to get you much of anything versus a 700c in the same size (of 43 or smaller). The 650 GKSK is as close as you’re going to get to the plush, plow through everything feeling you get with a wide tire MTB, but you won’t have to as steep a price when you hit the pavement. Would love to see a review of the 650 GKSK here, as it’s one of the few gravel offerings in 650, and might just be the best one. Forgot to mention the best part…you can pick up the 650 GravelKing SK 650’s for about $80…FOR A PAIR!